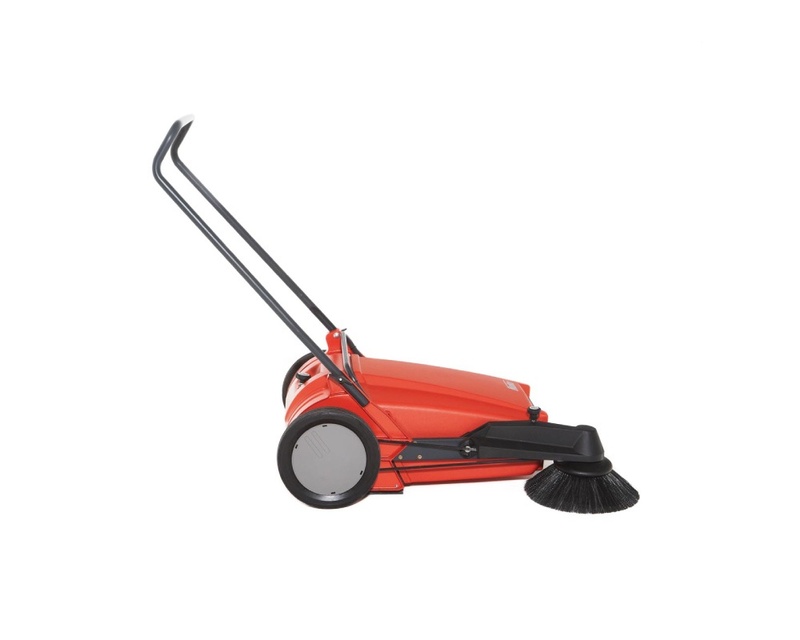 The Hako Sweepmaster M600 is practically indestructible, thanks to the use of modern components such as the dirt hopper is sturdy, but light synthetic material, a robust aluminium housing and protective tubular steel frame. Take a look and convince yourself! Clean working method and large area performance, time and again. 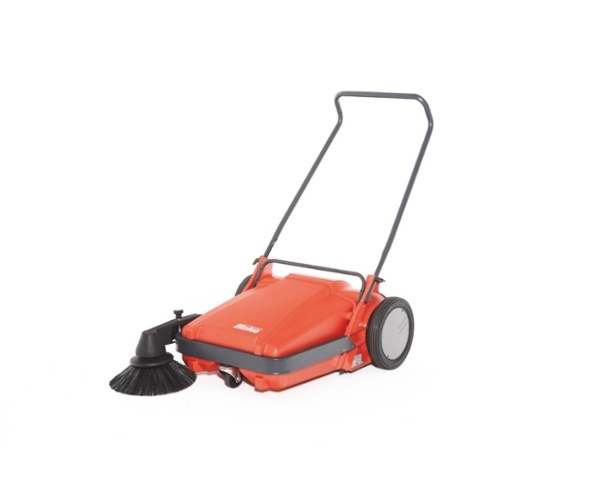 Machine suitable for daily, industrial use - for both indoor and outdoor cleaning. Clean working method for both fine dust and larger dirt particles as a result of special twin bristles. 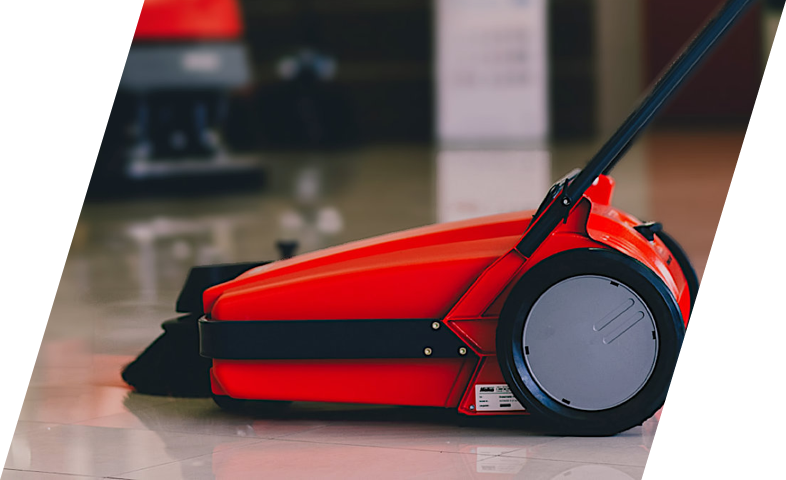 This sweeping machine picks up dirt automatically and leaves even corners spotlessly clean. 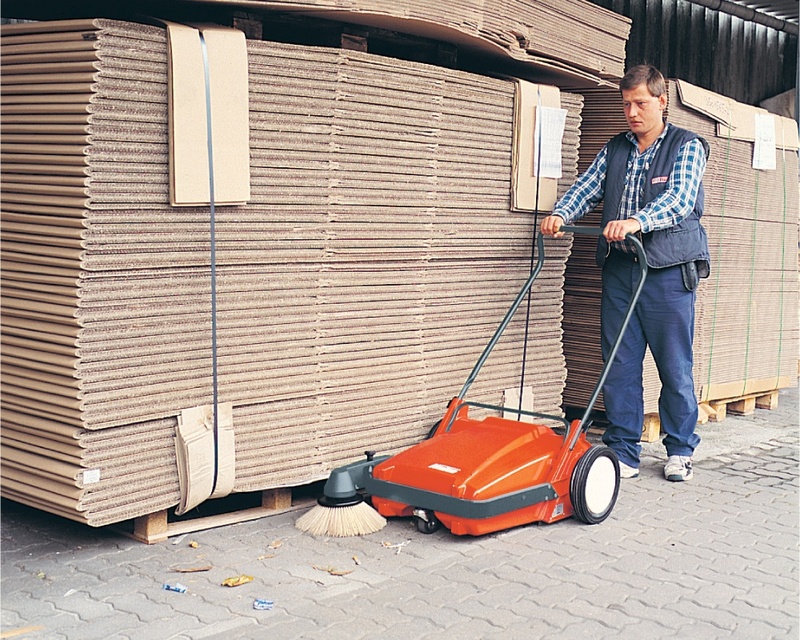 Particularly handy, manoeuvrable and extremely easy to operate. An ideal solution for trade, industry and property owners. 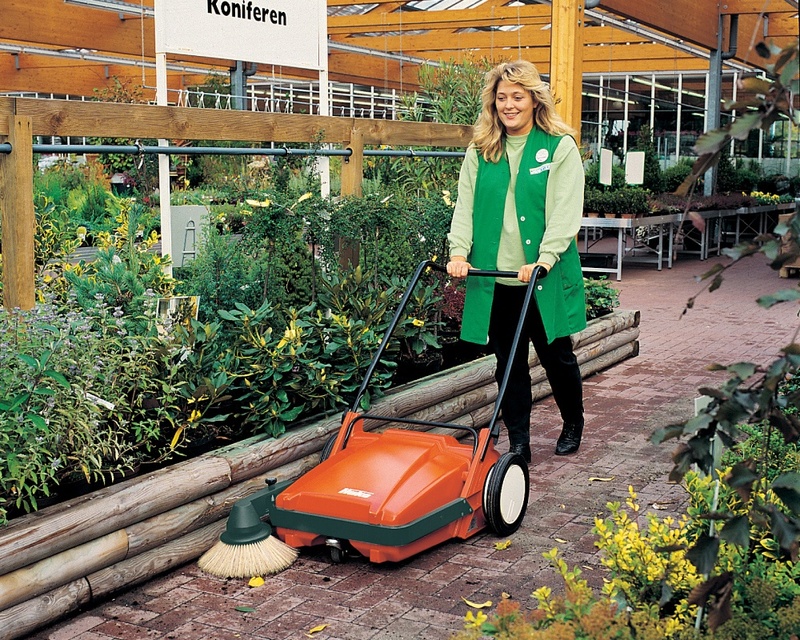 The side broom sweeps dirt out of corners and edges, directly into the path of the wide main broom. This in turn conveys the dirt into the large dirt hopper. 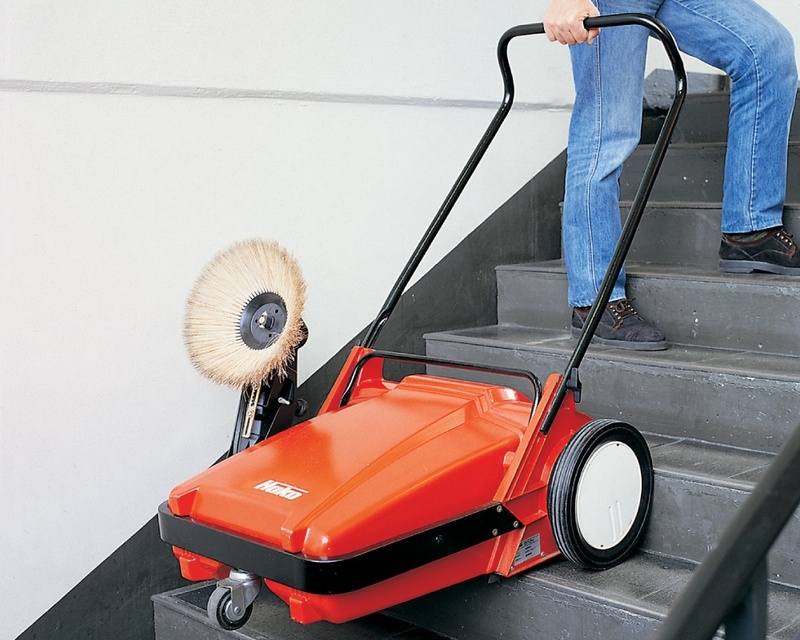 The dirt hopper can be removed and replaced easily. It is as handy as a bucket to carry, and it is stable to put down on the floor. As a result of a built-in handle and a dirt chute in the dirt container, it is practical and handy to empty dirt and rubbish into the rubbish bin. Sturdy surrounding steel frame. Solid aluminium housing for main broom. Indestructible dirt hopper with 5 year guarantee. Metal Parts with extra durable synthetic material powder coating (lead- and cadmium-free). 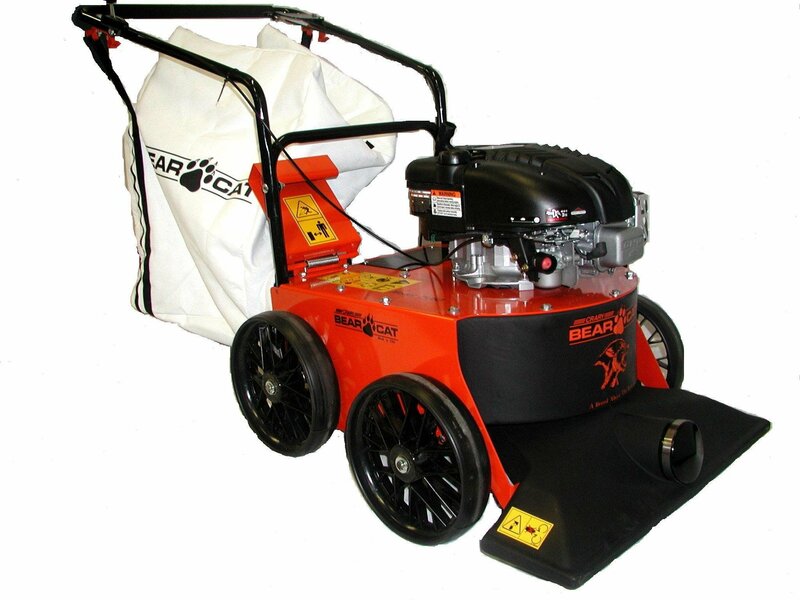 Main broom and side brush can be adjusted for optimum adaption to floor conditions and type of dirt. Simply robust: shock-proof, steel frame, sturdy aluminium housing, practically indestructible synthetic material dirt hopper with 5 year guarantee! Simple Sweeping... Hand-pushed sweeping machine - Ten times quicker than a dustpan and brush! 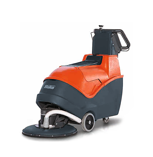 With unequalled sweeping performance up to 2,300 m² cleanliness/hour. Does anyone like sweeping by hand? Manual work is simply not in keeping with times. It is above all, too expensive. Moreover, a person using a dustpan and brush is not productive enough, and on the other hand,excess dust is created and merely distributed evenly. True cleanliness is never really achieved. 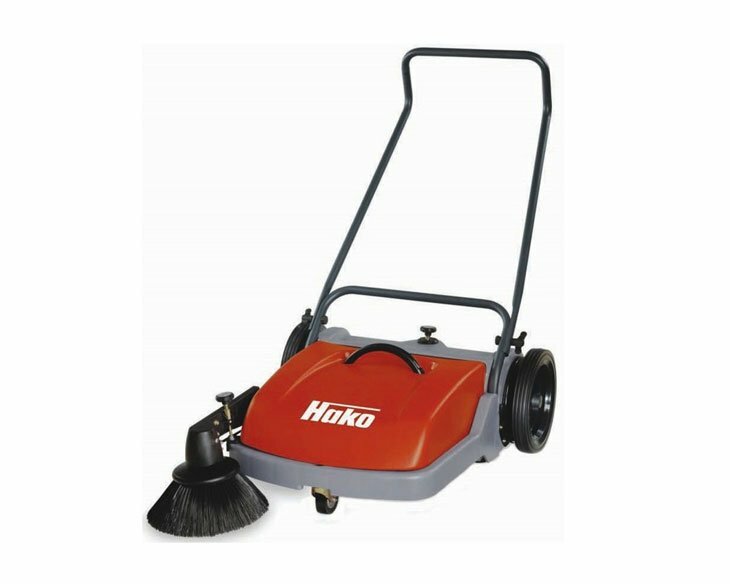 The Hako Sweepmaster M600 is an intelligent solution for quick and easy cleaning. The sweeper can pick-up dirt without leaving any behind in areas such as workshops, halls, dispatch areas, outdoor areas, paths and other open spaces.